The train rolled relentlessly into the Italian darkness, its wheels chattering rhythmically against the rails. There were fat peasants crowded everywhere, and skinny children, and seedy- looking businessmen and hordes of American GI’s. There was a sad, musty smell in the train, like a house that hasn’t been cleaned in years and years, and added to that the ripe smell of tired bodies, long unwashed, unkempt, unloved. Yet no one had thought to open a window. No one would dare. The old women would scream as though they had been assaulted, faced with a rush of the warm night air. That would have offended them. Everything upset them. Heat, cold, fatigue, hunger. They had reason to be disturbed. They were tired. They were sick. They had been hungry and cold and afraid for a long time. It had been one hell of a long war. And now it was over. For three months now. It was August 1945. And the train rolled on relentlessly as it had for two endless days. Serena had boarded the train in Paris, and ridden, without speaking to anyone, across France and Switzerland, and at last into Italy. This was the last of her journey now…the last of it…the last of it…. The wheels of the train chattered out her thoughts as she lay huddled in a corner, her eyes closed, her face pressed against the glass. She was tired. God, she was tired. Every inch of her body ached now, even her arms, as she hugged them tightly around her, as though she were cold, which she was not. The heat on the train was stifling, her long blond hair felt matted against the back of her neck, as the train began to slow, and then a few moments later it stopped, and she sat there, without moving, wondering if she should get out and walk, even if only for a moment. She had been traveling now for almost nine days in all. It had been an endless journey, and she wasn’t home yet. She kept thinking of home, reminding herself of it over and over. She had forced herself not to let out a whoop of joy as they crossed the Alps and she knew that she was back in Italy at last. But this was only the beginning. In fact, she reminded herself again as she opened her eyes slowly in the glare of lights from the station, for her the journey hadn’t even begun. It wouldn’t begin until sometime the next morning, when she reached her destination, and then she would see, she would find out…at last…. Serena unraveled herself sleepily, stretching her long graceful legs under the seat in front of her. Across were two old women, sleeping, a very thin one and a very fat one, with a scrawny child pressed between them, like a pathetic offering of pink meat between two loaves of old stale bread. Serena watched them expressionlessly. One could read nothing in her eyes, they looked like icy cold green pools of very fine emeralds, incredibly beautiful, but with very little warmth. But there was something about the depth of the young woman’s eyes. One was drawn to them, as though one had to look into her, had to discover what she was thinking, as though one had to see inside her…and could not. The doors to Serena’s soul were firmly shut, and there was nothing to see except the perfect precision of her finely carved aristocratic face. It had the translucence of white marble. Yet it was not a face one would have dared to touch. Despite her obvious youth and beauty, there was nothing inviting about her, nothing beckoning, nothing warm. She had surrounded herself with an aura of distance that carefully masked tenderness and vulnerability. “Scusi” She murmured the word softly as she tiptoed past the sleeping women and over an old man. She felt wretched sometimes for what she thought, but she was so tired of old people. She had seen nothing but old people since she had arrived. Was there no one else left, then? Only old women and old men, and a handful of children cavorting crazily everywhere, showing off for the GI’s. They were the only young men one saw now. The Americans, in their drab uniforms, with their bright smiles and good teeth and shining eyes. Serena had seen enough of them to last a lifetime. She didn’t give a damn whose side they were on. They were part of it. They wore uniforms, just like the others. What difference did the color of the uniforms make? Black or brown or green or…purple for that matter, or scarlet…or turquoise…. She let her thoughts run wild in the warm night air…she watched the uniforms cascade out of the train behind her as she stood on the platform and turned to look the other way. Even with her back turned, she could hear them standing near her, talking to each other, laughing at some joke, or speaking softly in the late night silence, broken only by the scraping metal noises of the train. “Smoke?” A hand reached out suddenly toward Serena, crossing her field of vision in spite of the way she had turned her back, and startled, she shook her head and hunched her shoulders, as though to protect herself further from what had happened, from what had been. One had a sense of something hurt about Serena; even in all her powerful young beauty, one sensed that there was something broken, something damaged, and perhaps forever spoiled, as though she were carrying some terrible burden, or existing in spite of an almost intolerable pain. Yet there was nothing on her surface to show that. Her eyes were clear, her face unlined. In spite of the ugly, wrinkled clothes she wore, she was striking. And yet, if one looked beyond that first glance, one could not help but see pain. One of the GI’s had noticed it as he watched her, and now as he took a last drag on his cigarette and dropped it on the platform, he found his eyes drawn toward her again. Christ, she was pretty. That white- blond hair peeking out from under the dark green cotton scarf she wore tied around her head, as though she were a peasant woman. But it was unconvincing. Serena could not pass for a peasant, no matter what she wore. Her carriage gave her away almost instantly, the way she moved, the way she turned her head, like a young gazelle, bounding with grace. There was something almost too beautiful about Serena. It almost hurt to look at her for too long a time. Just seeing her in the drab clothes she wore was troublesome. One wanted to tap her on the shoulder and ask why—why are you dressed that way and what are you doing pressed amongst the dregs of humanity on this overcrowded train? And more questions: Where had she come from? Where was she going? And why was there that faraway look in her eyes? As she stood on the platform in the warm summer darkness, she offered no answers. She only stood there. Very straight, very tall, very slim, and so young, in the crumpled cotton dress. She looked down at the deep creases in the cheap fabric and smoothed the skirt with a long delicate hand as her mind seemed to snag on a memory, a gesture…her mother doing the same thing…her perfectly manicured hand smoothing the skirt of a dress…a white silk dress…at a party in the garden of the palazzo…. Serena squeezed her eyes closed for a moment, forcing the memory back. She had to do that often. But the memories still came. One of the GI’s was watching her as she opened her eyes again and walked quickly down the platform to reboard the train. She looked as though she were running away from something, and he wondered what it was, as she put a foot on the steps up to the train and swung herself gracefully aboard again, as though she had just mounted a Thoroughbred and was about to ride off into the night. 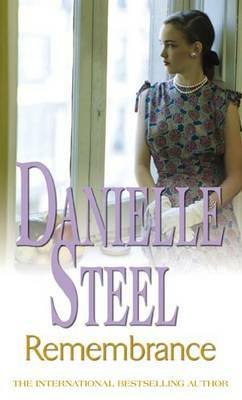 He watched her closely for a long moment, the tall thin frame, the elegantly squared shoulders. She had an extraordinary grace about her. As though she were someone important. And she was. “Scusi,” she whispered again softly as she made her way down the aisle and back into her seat, where she let out a soft sigh and leaned her head back again, but this time she did not close her eyes. There was no point. She was bone tired, but she wasn’t sleepy. How could she sleep now? With only a few more hours before they arrived. Only a few more hours…a few more hours…a few more…. The train began moving and picked up the refrain of her thoughts again, as she gazed out into the darkness, feeling in her heart, her soul, her very bones, that whatever happened, at least she had come home. Even the sound of Italian being spoken around her was a relief now. The countryside outside the train window was so familiar, so comfortable, so much a part of her, even now, after four years of living with the nuns in the convent in Upstate New York. Getting there four years before had been another endless journey. First, making her way across the border into the Ticino with her grandmother and Flavio, one of the few servants they had left. Once into the Italian part of Switzerland they had been secretly met by two women carrying weapons, and two nuns. It was there that she had left her grandmother, with rivers of tears pouring down the young girl’s cheeks, holding tightly to the old lady for a last time, wanting to clutch her, to beg her not to send her away. She had already lost so much in Rome two years before, when—She couldn’t bear to think of it as she stood in the chill air of the Italian Alps, locked in her grandmother’s firm embrace for a last time…. “You’ll go with them, Serena, and you’ll be safe there.” The plans had been carefully laid for almost a month now. There was America. So terribly far away. “And when it is over, you’ll come home.” When it is over…but when would it be over? As they had stood there, Serena felt that it had already gone on for a lifetime, ten lifetimes. At fourteen she had already lived through two years of war and loss and fear. Not so much her own fear as everyone else’s. The adults had lived with constant terror of Mussolini. The children had tried at first to pretend that they didn’t care. But one had to care. Sooner or later, events made you care. Sooner or later it all grabbed you by the throat and throttled you until you thought you would die. She remembered the feeling, still…of watching her father dragged away by Mussolini’s men…watching him try not to scream, to look brave as he tried, helplessly, with his eyes to protect his wife. And then the horrible sounds of what they had done to him in the courtyard of the palazzo, and the terrible noises he had made at last. They hadn’t killed him then though. They had waited until the next day, and shot him along with half a dozen others in the courtyard of the Palazzo Venezia, where Mussolini was headquartered. Serena’s mother had been there when they shot him, begging, pleading, screaming, crying, while the soldiers laughed. The Principessa di San Tibaldo crawling as she begged them, as the men in uniform taunted her, teased her. One had grabbed her by the hair, kissed her roughly, and then spat and threw her to the ground. And it was all over moments later. Serena’s father had hung limply from the post where they had tied him. Her mother ran to him, sobbing, and held him for a last moment before, almost as a matter of amusement, they shot her too. And all for what? Because they were aristocrats. Because her father hated Mussolini. Italy had been sick with a special kind of poison then. A poison based on hatred and paranoia and greed and fear. A horror that had turned brother against brother, and sometimes husband against wife. It had turned Serena’s uncle against her father, with a kind of passion Serena couldn’t understand. Her father thought that Mussolini was a savage, a buffoon, a fool, and said so, but his brother had been unable to accept their differences. Sergio di San Tibaldo had become Mussolini’s lapdog at the beginning of the war. It was Sergio who turned Umberto in, who insisted that Umberto was dangerous and half mad, that he was involved with the Allies when in fact he was not. The truth was, Sergio stood to gain a great deal if he could dispose of Umberto, and he had. As the younger son he had inherited almost nothing from their father, only the farm in Umbria, which he had hated even as a boy. And he couldn’t even sell that. He had it for the use of his lifetime, and then he was obliged to leave it to his children, or Umberto’s if he had none. As far as Sergio was concerned, his older brother had it all, the title, the money, the looks, the palazzo that had been in the family for seven generations, the artwork, the importance, the charm, and Graziella, of course, which had been the final spark to ignite his hatred for his older brother. He hated her father most for possessing Graziella, the golden fairy queen with the incredible green eyes and spun- gold hair. She had been exquisite, and he had loved her since he had been a boy. He had loved her always…always…when they all spent their summers together in Umbria or San Remo or at Rapallo, when she was a little girl. But she had always loved Umberto. Everyone had loved Umberto…everyone…especially Graziella. Sergio had knelt, sobbing, at her funeral at Santa Maria Maggiore, asking himself why it had all happened. Why had she married Umberto? Why had she run to him after he was dead? No one at the funeral had fully understood the part that Sergio had played in his brother’s and sister- in- law’s deaths. To their friends, he had always seemed ineffectual, a weakling. And now no one knew the truth, except Serena’s grandmother. It was she who prodded and pried and inquired and pressured in all the right places, she who pressed everyone she knew until she learned the truth. Only she had been brave enough to confront him in a rage of horror and grief so overwhelming that when it was over Sergio understood as never before the nightmare of what he had done to his own flesh and blood. And for what? A white marble palazzo? A woman who had died at the feet of her husband, and had never loved anyone but him in any case? For what had he done it? his mother had screamed. For the love of Mussolini? “That pig, Sergio? That pig? You killed my firstborn for him?” He had trembled in the wake of his mother’s rage, and knew that he would spend the rest of his lifetime trying to live with the truth. He had denied everything to his mother, denied that he betrayed Umberto, denied that he had done anything at all. But she had known, as had Serena. Those brilliant green eyes of hers had bored into him at the funeral, and he had been grateful to escape at last. Unable to fight the tides of Mussolini, and unwilling to expose the horror of her son’s fratricide to the whole world, the elderly Principessa di San Tibaldo had taken Serena and the oldest of the servants and removed them from Rome. The palazzo was his now, she told him as she stood for a last moment in the brilliantly lit black and white marble hallway. She wished never to see him, or the house, again. He was no longer her son, he was a stranger, and for a last moment she had gazed at him with tears filling the wise old eyes once more. She shook her head slowly then and walked silently out the door. 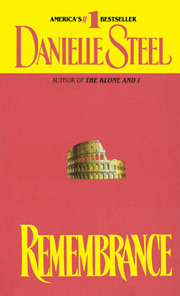 Excerpted from Remembrance by Danielle Steel. Excerpted by permission of Dell, a division of Random House, Inc. All rights reserved. No part of this excerpt may be reproduced or reprinted without permission in writing from the publisher.